The good news is that hair loss from heat damage usually isn’t permanent. The damage may result in limp hair, fried-looking hair, or split and frayed ends. But it rarely means that hair can’t grow back stronger and healthier. Here are several real steps you can take to help reverse and prevent hair loss from heat damage. The last thing you want to do is incur further damage, and low-quality hair products can do just that. To ensure proper conditioning for heat-damaged hair, use quality shampoos and moisturising conditioners containing proteins and botanicals. Gorgeous Growth Densifying Conditioner contains keratin, biotin, zinc and panthenol to strengthen hair strands and provide weightless conditioning for thicker, fuller-looking hair. Plus, its exclusive Ana:Tel™ complex also contains pea sprouts, a powerhouse botanical for healthy-looking hair. 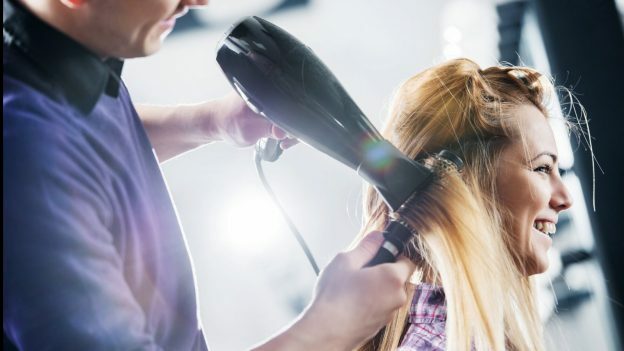 If you’re wondering how often you should take a break from heat styling, go by the current state of your hair and the advice of your hairstylist. If you see lots of split ends and breakage or you’re losing lots of hair, it’s best to lay off the heat styling for a while. As a general rule, try not to heat style your hair on the weekends or days you won’t be going anywhere, just to give it a break. Switch up your heat styling techniques too to help prevent hair fall. All heat is damaging, but curling irons and flat irons generally reach higher temps than blow-dryers. Try skipping the irons a couple times a week. Also, make sure you’re constantly moving around your blow-dryer as you dry to avoid concentrating too much heat in one place on your head. It’s also a good idea to use a heat protectant product before styling, no matter which heat technique you use. To take good care of your hair and prevent hair loss from heat damage, don’t just treat it after it’s happened. Prevent hair damage by staying on top of your hair care routine and making sure your hair is moisturized properly throughout the seasonal changes. Be sure to use a moisturizing conditioner each time you wash, and balance it with a protein conditioner twice a month. Pay attention to the condition of your hair and it will tell you what it needs. For example, you can do a stretch test: wet about 5-6 hairs and pull on them gently. According to the beauty blogs, if your hair stretches and doesn’t retract, it may need protein. If it doesn’t seem to stretch much, it may need moisture. The ideal result would be for it to stretch and recover its original length, in which case it’s probably healthy-looking, and moisture and protein are in good balance. If you’re experiencing hair loss from heat damage, don’t panic. While there’s no overnight fix, following these tips will help restore your hair to health before long. Treat your hair gently, like a delicate flower, so that it can grow in fuller and healthier.